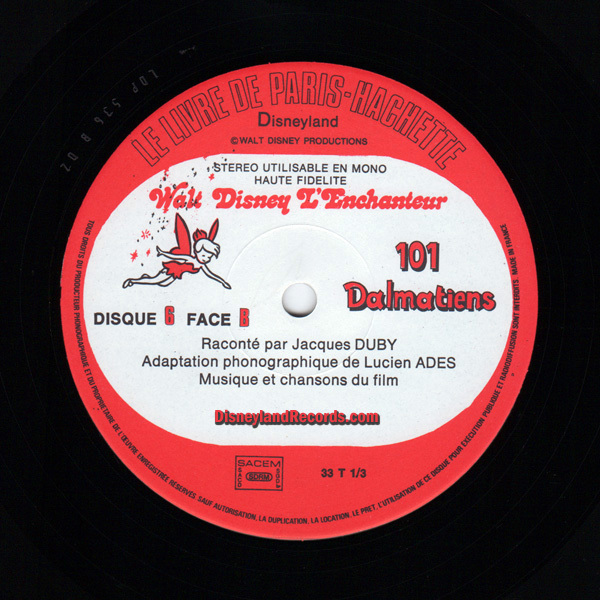 Record Comments: This is record number 6 of the French record series Walt Disney L'Enchanteur. All dialog and songs are spoken and sung in French. 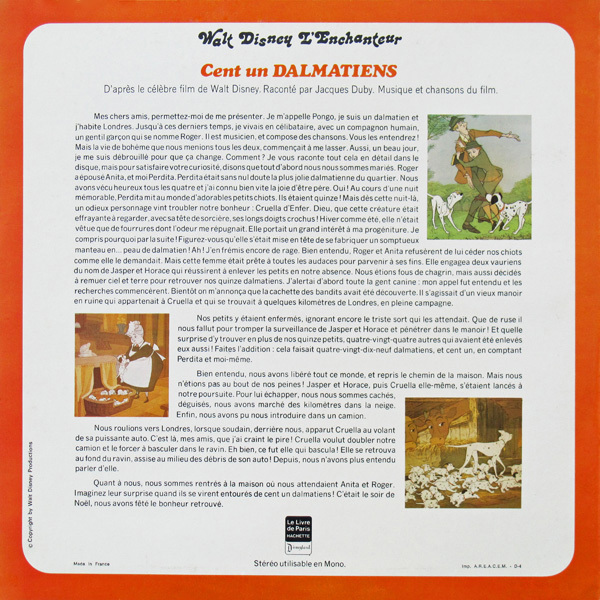 The cover is made from very thin cardboard. 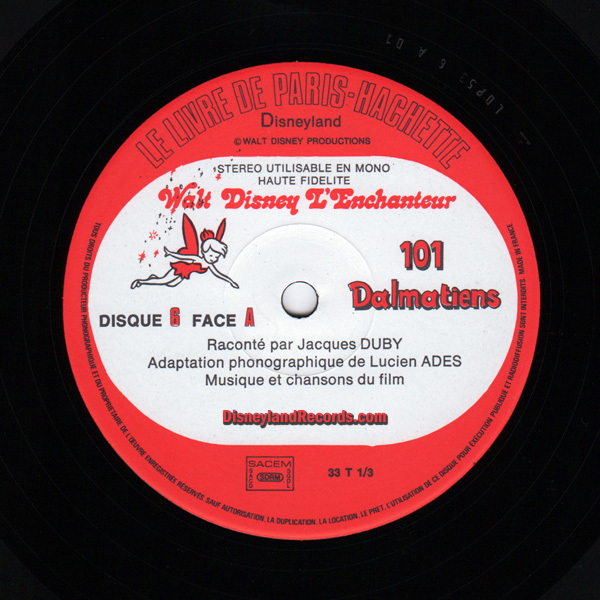 There is no date or traditional Disney numbering system printed on the jacket or record label. 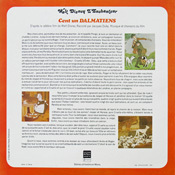 The inner sleeve is made from clear rice paper with rounded corners. 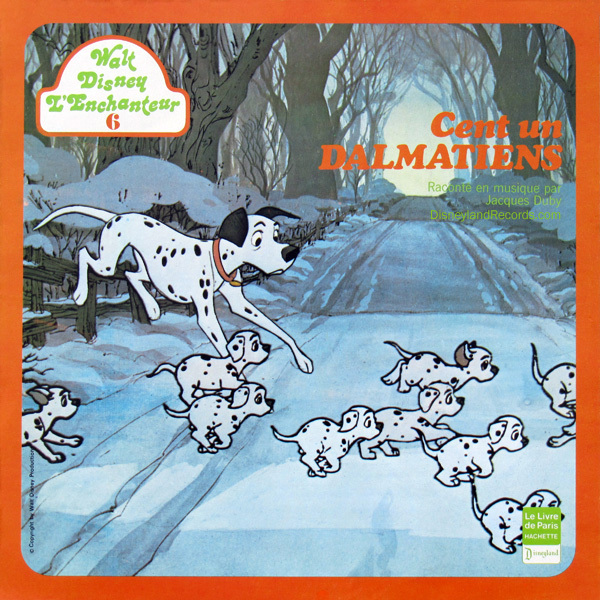 Subject Notes: 101 Dalmatians is Disney's 17th animated feature and premiered in theaters during January of 1961. The running time is approximately 79 minutes.